How long would it take an Islamic State purification patrol to reach Istanbul? From Raqqa, Syria, the current Daesh capital, it’s only 870 miles, a fifteen-hour drive northwest through Aleppo and Adana, with possible traffic delays around Ankara. However, road conditions on the Syrian leg may have deteriorated recently, and then you can’t always trust Google maps. 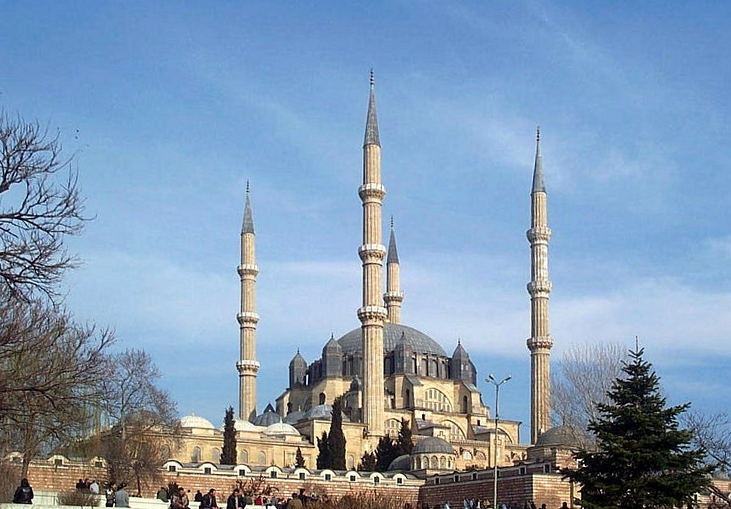 Sinan, the greatest architect of the Ottoman Empire, worked in Istanbul for the better part of the sixteenth century, more or less like Michelangelo in Rome. Sinan, too, was born a Christian, probably an Armenian Christian. Some speculate that he was Albanian, as others have claimed that Barack Obama is Hawaiian—but the operative word here is Christian. Later, after the Ottoman conquest in 1453, he converted to Islam in order to become a Janissary soldier in the service of the sultan. During a winter visit to the Topkapi Palace, while Bush 43 was still in office, I was waylaid by one of the many Janissary guards. He advanced, with turban, staff, and mustache, across a vast hall, giving me plenty of time to reflect on my possible infractions, before I saw that he was grinning. He pointed to my broad-brimmed felt hat. “Texas?” he asked. His own headgear was much more remarkable than mine, and it was frigid just then, next to the Bosphorus, but I blushed and stuffed the hat into my bag. to Apulia. Eventually, when he had risen to the rank of Architect of the Empire, he could delegate the extensive military construction and maintenance projects. He could focus on the building of splendid mosques, baths, madrasas, mausoleums, and even soup kitchens, sometimes in combination, like that built for Sultan Suleyman the Magnifcent atop the third of Istanbul’s seven hills (Rome again.) In his buildings, the surfaces of domes, half domes, minarets, arches, and walls, of stone, marble, ivory, brick—still glisten with vividly colored, gold-enriched mosaics and tiles. Sinan reigns as the greatest figure in classical Ottoman architecture, the counterpart of Michelangelo in the western Renaissance. But what was happening in the Renaissance was not unknown in Istanbul. Michelangelo and Leonardo da Vinci were invited to submit plans for a bridge across the Golden Horn of the Bosphorus. Michelangelo declined, probably ungraciously, but Leonardo, as was his wont, offered a grand project that would never be built. Bridges were important in the watery surround of Istanbul, and throughout the Ottoman Empire. 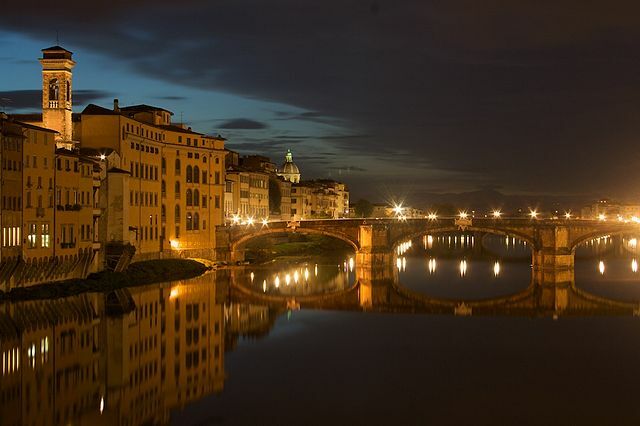 The famous Stari Most (Old Bridge) was in 1566 the oldest elliptical-arch span in the world, tied with Ponte Santa Trinita’ in Florence, completed three years later. According to a 17th century traveller,the Stari Most was “a wonder in its own time, thrown from rock to rock as high as the sky.” After 427 years it was destroyed by the Croats during the Bosnia-Hercegovina War in 1993. Sarajevo newspapers reported that it took more than 60 shells to demolish the bridge. Reconstruction in 2004 recycled some of the original stones found in the river below. Sustainable destruction? 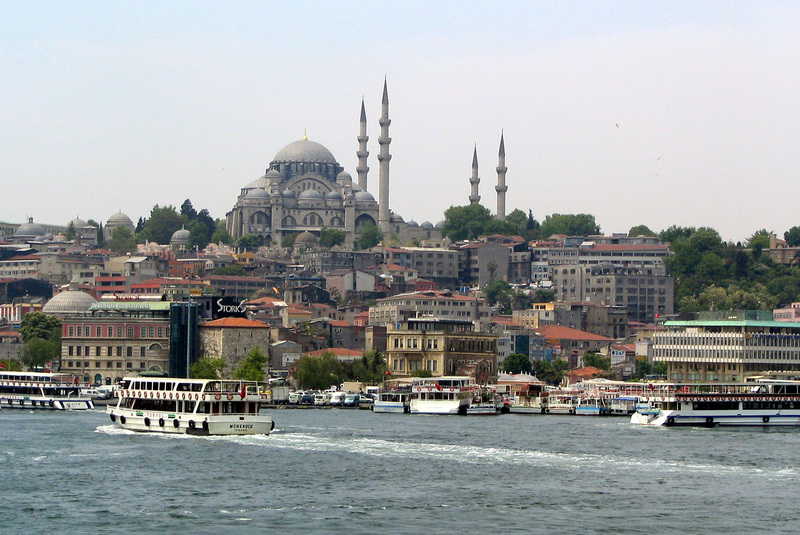 No bodies of water obstruct passage from Aleppo to the Hagia Sofia in Istanbul, which would take about twelve hours, given good toll roads all the way from the Turkish border. A cultural cleansing patrol might want to make a detour to level Sinan’s mosque in Aleppo, a work of his youth, although the minaret was already taken down by the rebels or the regime, or both, last summer. At the border crossing there might be a bit of a fuss if IS/Daesh tanks are involved. 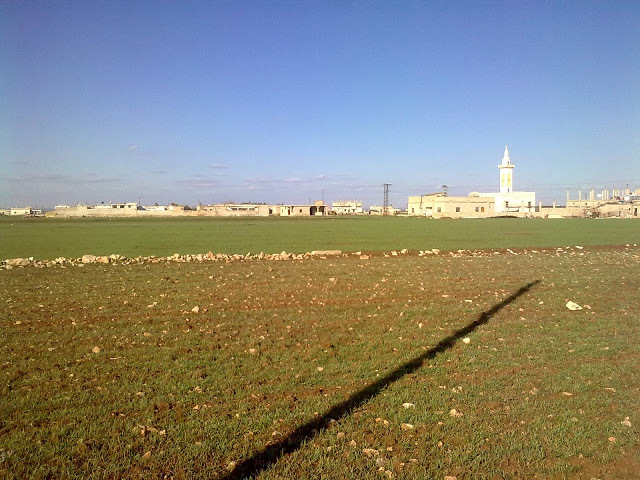 Also located near the border between Syria and Turkey is the settlement of Dabiq, site of a major battle in 1516. The Islamic State cites a Prophetic narration that foretells yet another portentous battle at Dabiq, against an enemy identified in the prophecy as the “Army of Rome.” What “Rome” is now, since the good Papa Francesco has no army, remains a matter for conjecture. Some suggest that it means the Christians, but could mean any infidel army, certainly not excluding the Americans. After winning the battle of Dabiq, some prophesy that the caliphate will expand and sack Istanbul, and perhaps move beyond. Eventually the victors will witness the descent and return of Jesus, and here it gets a little confusing. One should perhaps remember that Jesus is the second-favorite prophet in the Qu’ran. Which is also a bit confusing. In any event, Dabiq was chosen for obvious reasons as the title of the official magazine of the Islamic State, very glossy. The latest issue begins with a declaration of war against Japan. You can browse through the seven issues online. Disciples of Sinan went far and wide, some, it is said, to work on the Taj Mahal. From Raqqa–or Mosul, to the Taj Mahal is quite a stretch. To Tokyo, it’s 8,585 kilometers, or 5,334 miles.